Here's a picture of the Christmas tree I trimmed yesterday morning. This tree is from my parents and is what I would have to put up year after year when I was a kid. 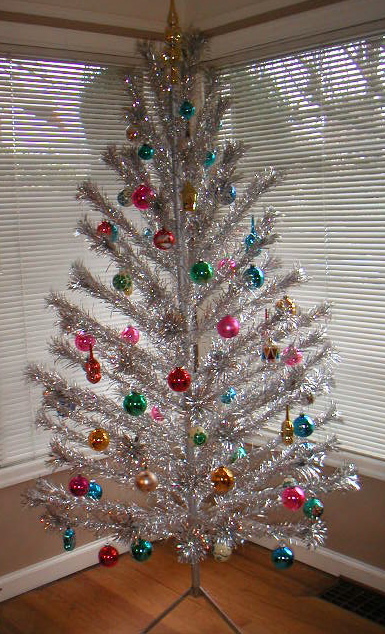 I hated it then because I always wanted a real tree. But now, it seems, the aluminum tree has made a comeback. When I first assembled it, I was surprised at how sparse it looked, but once I put the ornaments on, it looked better. I didn't have any real ornaments, so I raided my parents basement for these great glass ones. I also put up the clipboards as a way to display art and writing in my living room. 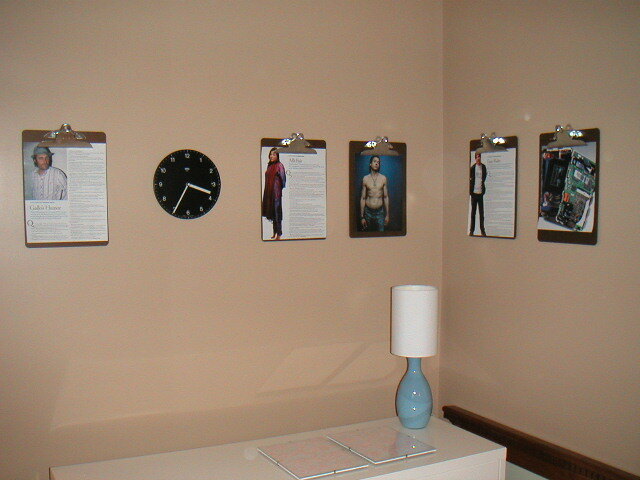 Originally, I had wanted to put up two rows of clipboards, but thought that was too overwhelming. I have been collecting lots of pictures and article clippings to put on the boards. Lastly, I am seaming up the Ribby Cardi. The sides are done and I've got to start on the sleeves. Neither of the two zippers that I bought really match, so I may need to buy another one. I should have this sweater finished this week!